A feature-length documentary investigates corruption allegations regarding former president Lee Myung-Bak massive environmental program The Four-River Project. Started in 2009, the plan focused on restoring four major rivers, the Han, Geum, Nakdong, and Yeongsan rivers. At the time, Lee’s administration argued that the project would help to reduce floods and droughts, improve water supply and quality, and bolster recreation areas and foster economic development by the rivers. Ultimately, five dams, 16 weirs, and 96 reservoirs were constructed. In total, the revitalization cost about 22.2 trillion won, approximately 17.3 billion USD. However, there has long been speculation of illegal financing for the construction project. Moreover, many have wanted to trace where exactly how the money from the project was spent. As a result, the project has been subjected to multiple audits with the most recent one initiated by current president Moon Jae-in. As such, while acknowledged as the largest environmental revitalization plan involving South Korea’s four largest rivers, it is also accused of being the biggest fraud scheme since the founding of the country. In fact, while Lee argued that the project improved water quality, it has worsened. The rivers are routinely affected by massive and dangerous algae blooms that media networks call “green algae latte.” The algae blooms were one criticism that environmentalist had. Another was that the project destroyed natural habitats, thereby endangering numerous native plants and animals. The film is produced by OhmyNews, which has made worked to expose other major scandals in Korean history. 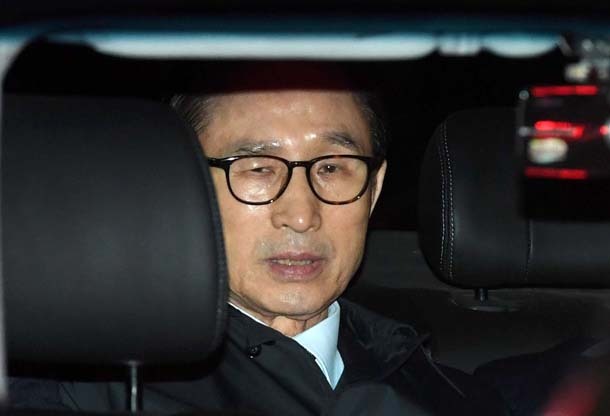 In addition, the timing of the documentary could not be more timely with the arrest of former president Lee Myung-bak taking place this past Thursday, March 24, on corruption charges.